We investigated the association between exposure to chemical warfare and chronic mental/physical conditions. This was a secondary analysis of data from a case–control study on Iranian male veterans. Participants with neuropsychiatric disorders other than depressive/anxiety disorders, anatomical defects, or malignancies were excluded. Compared to non-exposed veterans, exposed veterans demonstrated significantly higher odds of PTSD [OR (95% CI) = 5.23 (1.98–13.85)], hypertension [OR (95% CI) = 5.57 (1.68–18.48)], coronary heart disease [OR (95% CI) = 6.8 (1.62–28.49)], and diabetes [OR (95% CI) = 3.88 (1.35–11.16)], and marginally higher odds of moderate to severe depressive symptoms [OR (95% CI) = 2.21 (0.93–5.28)]. 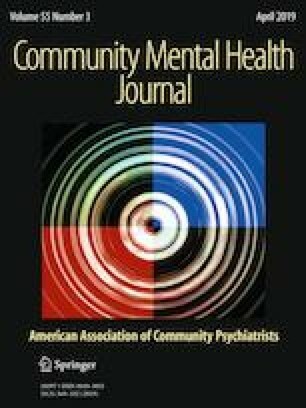 This study provides preliminary evidence on association of exposure to chemical warfare with long-term mental disorders as well as chronic medical conditions. Hamideh Safi-Aghdam and Mehrzad Shafie have contributed equally in this study. The study was supported by a grant from Aja University of Medical Sciences to Dr. Ehsan Moazen-Zadeh (Grant No. 7648).